"Ten little fingers, ten perfect toes, fill our hearts with love that overflows". For our little bundle of joy, we only want to give the best of everything. Aakarsh turned one this January and it is a bliss watching him grow. One thing which he enjoys the most these days is his evening stroll in the park. And every evening, we go out in the newly refined Joovy Groove Ultralight which is the perfect umbrella stroller I could have asked for my baby. Joovy Tricycoo was an instant hit with Aakarsh and he loves riding it every now and then. So when it was time to upgrade him to an umbrella stroller, I couldn't think of a better option than Groove Ultralight. Read ahead to know what makes it so special. Joovy Groove Ultralight weighs only 15 lbs and is an ultralight and hassle-free umbrella stroller. It is a great car stroller, travel stroller, or second stroller for your newborn baby and set to grow with your child up to 55 lbs. 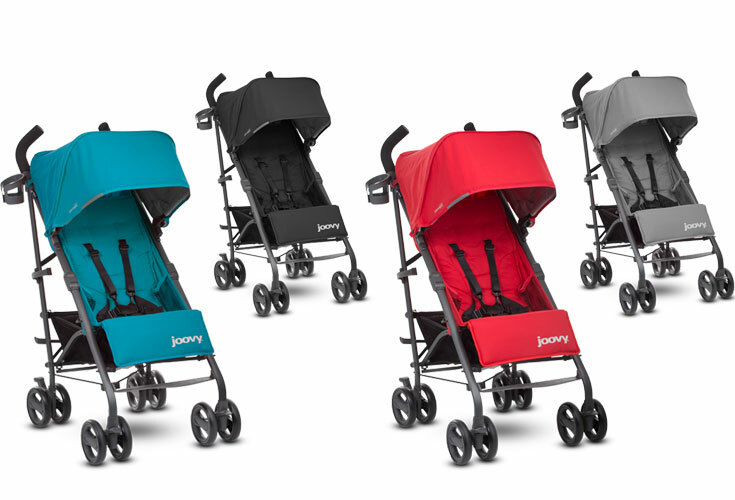 What I love the most about Joovy Groove Ultralight is the fact that it is less cumbersome and lighter when compared to the travel system we have at home. I use this stroller on a daily basis for Aakarsh when we go for a stroll in the park and I love the bigger wheels it has which allow better maneuverability. You can feel the ease when you actually use it. It also has rear wheel brakes and locking front wheels which are necessary to control the stroller. We all want to see our child in a happy place whether it is at home, in the car or in the stroller. The Groove Ultralight's seat has a near-flat recline and adjustable footrest making it perfect for naps on the go. It features new soft-to-the-touch, UPF 50 fabric and features an adjustable and removable canopy. The canopy is removable and adjustable. It is light-reflective on all four sides thus making it safe for the child when we are out in the sun. Now that the summer is here, I am sure this is going to be of great help in protecting Aakarsh from the sun. The seat consists of mesh pockets on either side in order to position toys and snacks for your little one. This is definitely a wonderful feature yet again! One look at the back of the stroller and you can see two cup holders and zippered pocket. This way I can keep my stuff like coffee, water bottle, home keys etc. out of reach from Aakarsh. Also, there is a lot of space below the seat to store your diaper bag and other stuff which we need when out with the child. How convenient, isn't it? There are times when Aakarsh acts all naughty and I have to check him often. To make it happen, there is a peek-a-boo window rightly available so that I can keep an eye on him as we stroll in the park. Last but not the least, one thing which most parents are concerned about when buying a stroller is folding and carrying it. The Groove Ultralight has an amazing fold and auto-lock feature along with an easy carry strap which is positioned and weighted just right. The stroller fits comfortably on your shoulder without any fuss. Joovy Groove Ultralight is definitely the best looking as well as sturdy and comfortable stroller and I am glad I got to use it for Aakarsh. You can now purchase it from Amazon at $199.99. Stroll in style with your child in the Groove Ultralight! It is newborn ready, grows with your child and its amazing performance is something to look out!